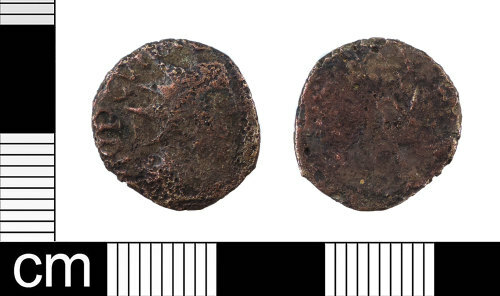 A Roman copper alloy barbarous radiate of an uncertain Emperor dating to the period AD 275-285 Reece period 15. The reverse type depicts a standing figure. Dimensions: diameter: 15.23mm; weight: 1.74g.